If you were among the more than 800 Florida Professional Engineer licensees who received an email recently about your incomplete renewal, please carefully read and follow these steps. To complete your renewal, log into your account at myfloridalicense.com and select your license with pending renewal. Answer both attestation questions. Please disregard the $10 fee. If your PE license is current and active and you complete these questions by 5 p.m. Friday, Feb. 1, 2019, you will remain qualified for the $10 renewal discount. If you do not answer both questions by that time, you must pay an additional $10 to meet the standard renewal cost. 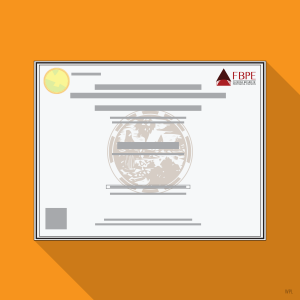 After you have answered both questions, email cedesk@fbpe.org with your name and PE license number stating that you have completed the attestation questions. Please allow two to three weeks for your renewal to be processed. They will be approved in the order they are received. When your renewal has been completed, FBPE will send you a confirmation email. Please refer to Steps 20 through 29, with particular attention paid to Steps 25 through 28, on FBPE’s PE License Renewal: Step-by-Step webpage for assistance. If you have any questions, please call FBPE at (850) 521-0500 and select “Renewal,” or email cedesk@fbpe.org.